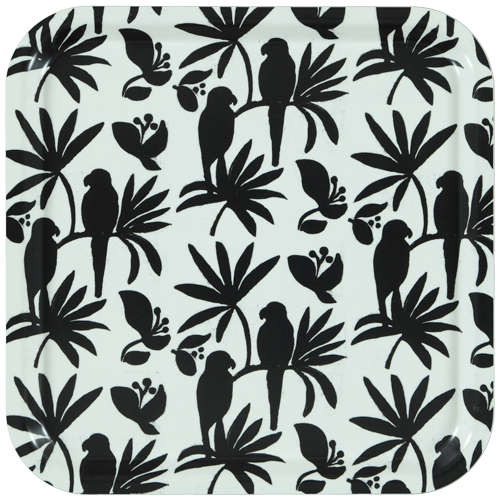 Luxury tray featuring the tropical Singapore print created by Mariska Meijers from hand drawn palm leaves, flowers and parrots. Made in Scandinavia. The Singapore pattern is available across our interior collections.